1. It prepares a mixture of petrol and air in correct proportions. 2. It maintains a small reserve of petrol in the float chamber at constant head. 3. It atomizes and vapourizes the fuel. 4. It supplies a fine spray of petrol. 5. It produces a homogeneous mixture. 6. It measures and supplies the proper quantity and proportions of air and fuel under all conditions of engine operations such as temperature, speed and load. The carburetors can be classified according to the following considerations. 1. According to the direction of flow. 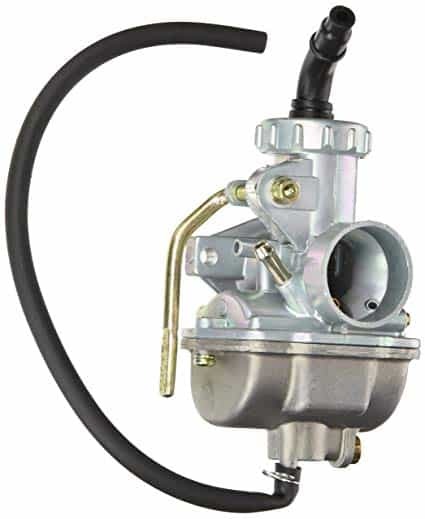 b. Metering pin type carburetor.